This journal is about the wrongs and rights of the world, as I see them. I was thinking about Mott the Hoople the other day after I was discussing Bad Company. Lead guitarist Mick Ralphs, left Mott the Hoople and formed Bad Company in the mid 1970’s. Some say it was because Ian Hunter couldn’t sing as well as Paul Rodgers. I heard it was because Ian wouldn’t or couldn’t sing Can’t Get Enough which was Bad Company’s first hit. Hunter was the main guy in Mott anyway and Mick needed some elbow room. It was a real Spinal Tap situation (when Nigel quit) for awhile. Ian was really mad that he left. I have a Mott the Hoople music book that was put out about that time and fails to mention Ralphs, except in a couple of song credits. It almost seemed like Ian was trying to scrub Mick from Mott the Hoople history. I also read at the time, there were some bad feelings. It must have been resolved because I have heard live concerts they did together much later. Ian also made a pretty good living after Mick left. So that probably didn’t hurt either. As a big Mott the Hoople fan, I was very disappointed. Mick Ralphs was replaced by guitarist Ariel Bender who had gone by Luther Grosvenor, his real name, in the band Spooky Tooth previously. I wasn’t very excited about Mick leaving at all. The last Mott the Hoople guitarist was Mick Ronson. Ronson was famous as the guitar player from David Bowie’s Spiders From Mars. 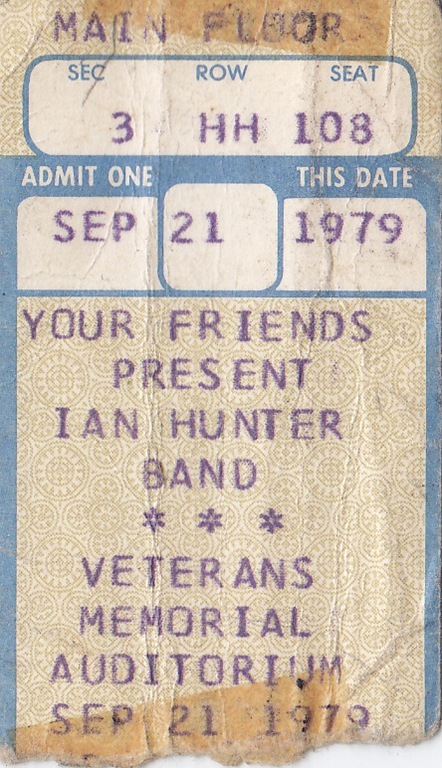 I saw Ian Hunter and Mick Ronson together in 1979 after the official Mott the Hoople split up. The rest of the band made some albums as just “Mott”, then came back as The British Lions. I also thought about the recording I made of One of the Boys. It was always one of my favorites from Mott the Hoople’s All The Young Dudes album. It’s a very basic power rocker and it is fun to play. The song was co-written by Ralphs and Hunter. I had recorded it a few years back. I was still recording on my Fostex 16 track at the time. I had some issues with that mix and wanted to take the time to re-mix it someday. The original mix just had a lot of things wrong with it and needed some work including a better stereo image. I also have recorded Ready For Love, a song recorded by both Mott the Hoople and Bad Company. I may re-mix it too. One of the Boys was written by Ian Hunter and Mick Ralphs. I sing and play all the instruments on this track. I am playing a Fender Stratocaster electric guitar, Rickenbacker 4001 bass guitar and Ludwig drums. It was recorded on a Fostex VF-16 digital multi-track. It was processed with Cakewalk Sonar v8.5 Producer and Sony Sound Forge v9. After my mom passed away I heard this song in my head constantly. I recorded it and then made this video using a green screen. I’ll probably do one of my originals green screen next time. 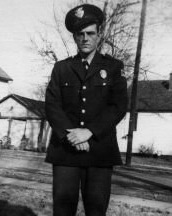 My dad worked at a local prison and was at the BCI, Ohio’s FBI, one day in the late 1960’s or early 1970’s. A policeman came through the front door with a bottle of wine. He requested that the BCI laboratory analyze the contents of the bottle. When the agent asked why, the policeman told him he suspected the contents was "herro-wine". I don’t remember my dad ever laughing so hard when he told me this story. Illicit drugs were only a burgeoning problem at that time. Most teenagers’ biggest problem was getting caught with cigarettes and 3.2% beer. In most small communities illicit drugs did not exist for the majority of people. Moms and dads were a little over medicated on the sleeping pills, diet pills, or anti-anxiety drugs, but not in any overly large amounts. There were controls on the system. There was no advertising the benefits of a prescription drug on television. Most pharmacies were locally owned. Pharmacist’s in all states knew most of their customer’s by name and could oversee the distribution of medications to these people. Now most pharmacies are parts of large corporations. Sometimes you can see your former local pharmacists working for the new super chains, filling prescription after prescriptions to unknown faceless customers. Whatever the doctor’s say, well it must be OK, right? In the 1970’s, drug use became a profitable business for both local and foreign investors. The blame was always squarely put on that long haired kid on the corner. The blame then as now goes to those that finance illicit drug importation. I guarantee you that very few of these people were, or are, long haired kids, even if they are standing menacingly on the corner. The cocaine business that was broken up in Florida in the 1980’s proved that these people were more likely to be the more affluent in the community. They were usually standing alongside and contributing to local and national politicians who controlled enforcement of their illegal activities. Around the time my mother passed away last month, I was listening to a lot of Patty Griffin. Her song Rain was the one I listened to the most because I felt a connection to its sadness. I said I was going to record it. This is a little undone. It’s the scratch vocal and you can hear a rhythm track in the background. Actually I kind of like it that way. I may do some more on this song, but I liked its simplicity. Just one vocal and one acoustic guitar, plus a little reverb in glorious monaural. This song was written by Patty Griffin. I sang, and played my Takamine acoustic guitar. I processed it with Cakewalk Sonar 8.5 Producer and Sony Sound Forge 9. Saved from the Grim Reaper?